A meeting place between our past, our present and our future. Established in 1986, Timespan developed from a small local heritage centre to an award-winning museum and the only public contemporary art gallery in Sutherland, in the Far North of Scotland. Timespan is a cultural development organisation and a creative hub. We provide a high quality venue and programme for people locally, nationally and internationally. We build partnerships and collaborate with researchers, artists, audiences and participants of all ages and backgrounds to preserve, sustain, celebrate and amplify the culture of our place. Our focus is on relationships with people and long-term creative development; we believe in new ideas and creative exchange, in access to excellence, in adding value, in promoting education and facilitating vibrant community dialogue based on fair exchange. We aim to challenge perceptions of what can be delivered by a cultural organisation rooted in the distinctive, but fragile, socio-economic ecology of this large, rural and remote area. 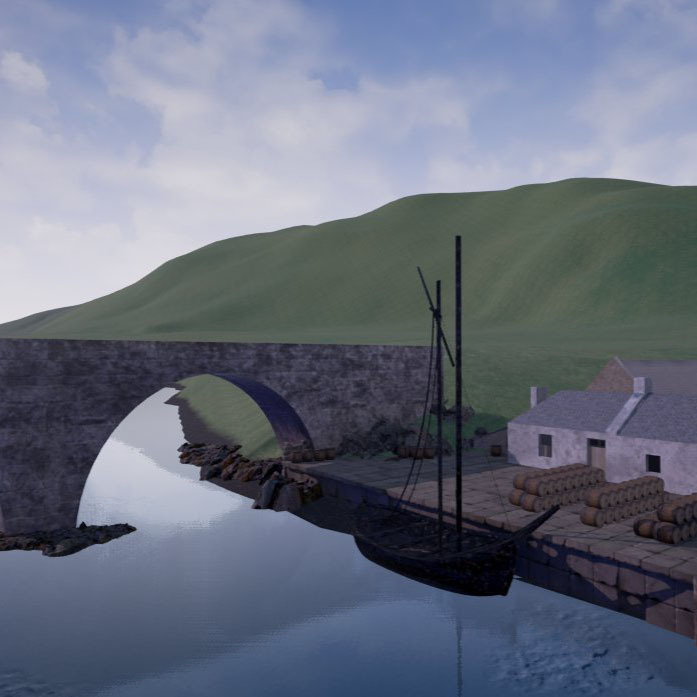 Over the last four years Timespan has collaborated with University of St Andrews on the development of a virtual world that could be accessed by visitors to our museum. In June 2013 we set out to virtually reconstruct a longhouse and outbuilding using the evidence and findings uncovered from a community excavation which was part of the Bicentenary of the Kildonan Clearances. Our collaboration has produced the first virtual world with historical content, accessible in a cultural context in the UK. It has enhanced the visitor experience in our museum, and has put Timespan on the map as a forward thinking organisation with a growing national reputation. While presenting a paper at the Nordic TAG conference in Reykjavik in 2013, Alan Miller from University of St Andrews and Anna Vermehren from Timespan met Skuli Bjorn Gunnarson from Skriðuklaustur. The potential of using virtual technologies in the heritage sector was discussed, and an idea was born to develop a larger transnational project around this immersive technology. Extending an invitation to Museum Nord,we submitted a preliminary project application to the Nordic Periphery and Arctic Programme in Spring 2015. Timespan has been the lead partner is this preliminary project. Below are some impressions from our joint journey. Please double-click Roundme tours below for full-screen mode. The project team visited Timespan in October 2015. Visit Timespan too.